COPS are investigating the death of two robbers who were killed in separate shoot-outs. 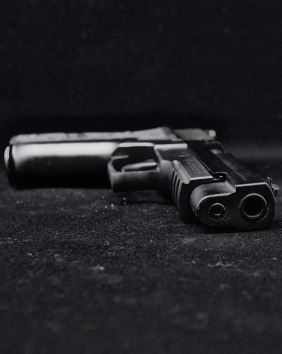 Police spokesman Lieutenant-Colonel Lungelo Dlamini said the first incident happened on Thursday when a suspect was shot by a home owner in Bryanston, Joburg, after four thugs attempted to rob a house. Dlamini said nothing was stolen, but the 50-year-old home owner had to be taken to hospital for shock. In another incident, one of four suspects was shot by cops in Tembisa, Ekurhuleni on Thursday night. It happened after a business robbery at a salon in Bramley, and the hijacking of two vehicles in Edenvale later that day. “After the robbery, the suspects drove into a police roadblock and a shoot-out ensued. Stolen cellphones, perfume, a laptop and an unlicensed firearm were seized. A vehicle was also impounded,” said Dlamini. He said cases of attempted house and business robbery, attempted murder and possession of unlicensed firearms were opened. Two men and a woman aged between 22 and 30 were bust in Protea Glen, Soweto on Friday. They allegedly bought cold drink at a restaurant with a fake R200 note. Dlamini said the suspects will appear in court soon.